Android Pie-based OxugenOS 9.0.3 and 9.0.1 incremental update has been made available to the OnePlus 6 and the OnePlus 5 ( & 5T), respectively. 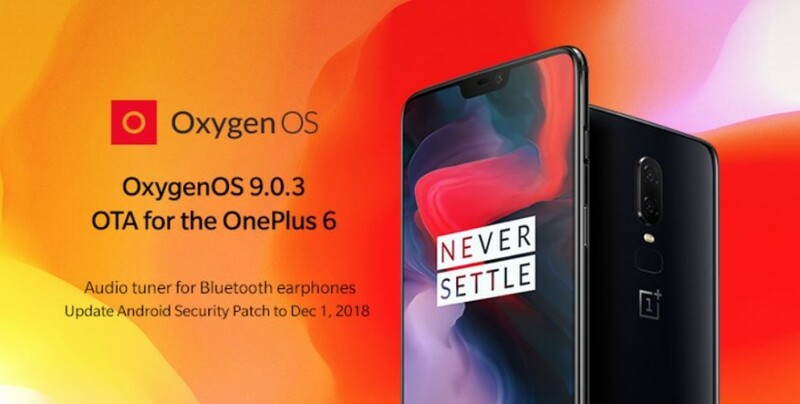 After releasing the Android Pie with OxygenOS 9 update to the former flagship phones—OnePlus 6, 5 (& 5T)—, now, the company has begun rolling out incremental software update OxygenOS 9.0.3 and 9.0.1 to respective devices. For OnePlus 6, the new OxygenOS 9.0.3 brings Wi-Fi connectivity stability, improved low-light Nightscape feature, optimised image processing and more. As far as the OnePlus 5 and the 5T are concerned, OxygenOS 9.0.1 brings optimised sRGB display mode, fixes 4G-VoLTE toggle missing issue, resolves random reboot during screencasting and more.